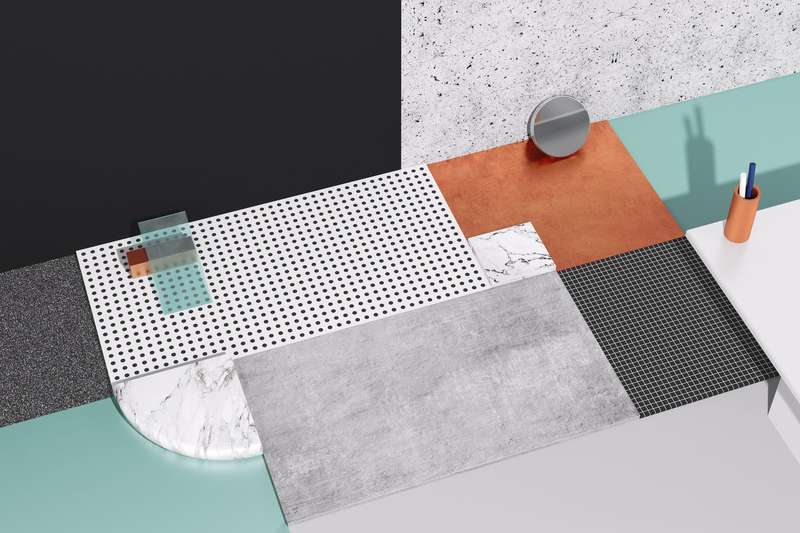 Set of imagery created for the visual communication of 2017 Expo Revestir, an international architecture fair that takes place yearly in São Paulo. The event is focused on displaying new materials and finishing possibilites, apart from hosting the main architecture forum in Latin America. I was asked by ps.2 to create visuals for this year's visual identity, approaching the finishing inspiration in a spatial manner. The resulting images combine patterns, surfaces and textures with abstract forms and angles, adding physicality to the visual communication of the event.